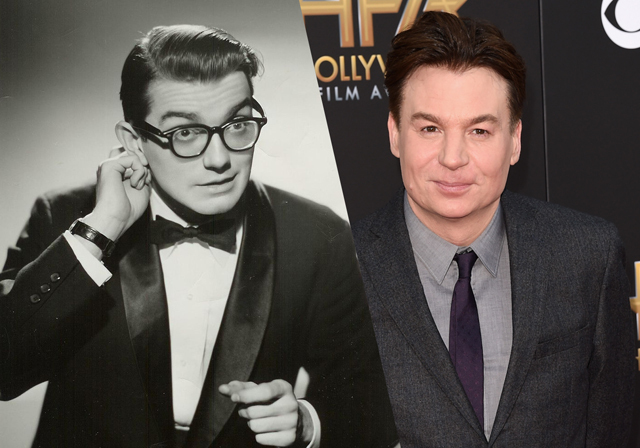 Award-winning comedy icon Mike Myers (Wayne’s World, Austin Powers series, Shrek series) has come on board to star as Del Close, Myers’ mentor and legendary teacher, in the upcoming comedy Del, to be directed by the award-winning Betty Thomas (Private Parts, 28 Days), it was announced today by Covert Media’s CEO Paul Hanson (District 9, W.). Hanson and Covert will produce the film alongside Thomas, The Second City’s Diane Alexander, Robert Teitel (Southside with You, Barbershop series) of State Street Pictures, and Thruline Entertainment’s Ron West. Executive Producers on the project are Andrew Alexander of The Harold Ramis Film School / The Second City, Covert’s Elissa Friedman (Ophelia, Resurface), Media Content Capital’s Sasha Shapiro (Fading Gigolo, Ophelia) and Anton Lessine (Fading Gigolo, Fury), and Thruline’s Chris Henze. Del is written by screenwriter Nick Torokvei and Anthony Richmond ASC, BSC (Legally Blonde, Men of Honor, The Man Who Fell to Earth, Don’t Look Now) will serve as Director of Photography on the film. The film follows an aspiring comedian who is taken under the wing of Del Close, a legendary teacher notorious for pushing his students to their limit. What begins as a disastrous relationship, ultimately transforms each of them in this hilarious, irreverent and heartfelt comedy. In 1972, after a decade of touring the country with improv troupes and the Grateful Dead, Del Close returned to his hometown of Chicago and to the improv powerhouse Second City. Over the next decade, he coached many popular comedians and in the early 1980s served as “house metaphysician” at Saturday Night Live. Over the years, a significant number of the show’s cast have been Close protégés, including Myers, John Belushi, Chris Farley, Dan Aykroyd, Bill Murray, Tina Fey, and many others. Close spent the mid-to-late 1980s and 1990s teaching improv at Yes and Productions and the ImprovOlympic Theater before his death in 1999. Covert Media is fully financing the project will launch worldwide sales on the film in Berlin. “I am thrilled we are able to tell the story of this mercurial genius, he forced our actors to work at the top of their intelligence and influenced a generation of talent,” said Andrew Alexander. Mike Myers is an award-winning actor, comedian, screenwriter, and film producer. Myers got his start on stage at The Second City before becoming a featured performer on Saturday Night Live, earning him a Primetime Emmy for Outstanding Writing. He successfully transitioned from television to film and is globally recognized for his title roles in Wayne’s World, Austin Powers series, and the Shrek films which earned over $2.9 billion at the global box office. Myers will next be seen in the film Terminal alongside Margot Robbie. Del appears to be an amalgam of two competing Del Close biopics that have been in development for several years. As reported by Splitsider in 2013, the film Guru, based on Jeff Griggs’ book “Guru: My Days with Del Close,” followed Griggs as Close’s personal assistant during his final years. Two Del Close students were attached to the project, the late Harold Ramis to direct and Bill Murray to star. When they dropped out, Betty Thomas (another of Close’s Second City alums) and writer Nick Torokvei, son of Second City alum Peter “P.J.” Torokvei, came aboard. The second project, titled Del, was written by Del Close’s ImprovOlympic co-founder Charna Halpern, who spent two decades working with him, and SNL writer Michael McCarthy, and had Myers attached.